Google focuses on "mobile first" pay-per-click ad layout as mobile begins to overtake desktop searches. 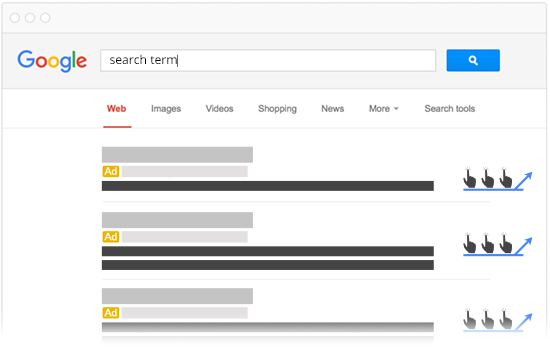 Google recently eliminated all right side ads. They also made up to 4 top ad positions available. They left the bottom 3 ad positions. Basically, this reduces the previous 11 ads per page to a maximum of 7 ads per page. The change makes a significant impact on impressions and a minor impact on clicks and cost per click. The elimination of the lower click through rate ads on the right rail undoubtedly reduces the number of impressions. Even though impressions do not generate revenue for Google, they are of minor value to the advertisers. The top 4 positions will garner a lot of clicks. As a result, the total number of ad versus organic clicks will probably only change slightly. 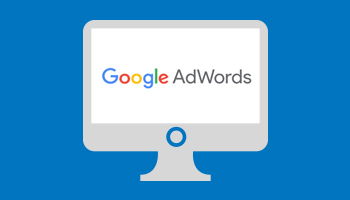 If ad managers do not adjust their daily budgets, ads will cycle through those top spots and cost per click will not be affected significantly. I imagine that Google is counting on that not being the case. If your ads were already averaging top 4 position, this change should not have a significant immediate adverse effect on your performance. If you were bidding on a large number of terms and averaging bottom of the first-page position, this will have an adverse effect on cost per click. I manage accounts of both of these types. In this case, theory and empirical data give me the same conclusion. On accounts that I manage that fall more into the second group, I am seeing the cost per click increases of approximately 35%. The other challenge that PPC managers will face is client expectations. It is important to communicate with your clients quickly on this matter. If your clients notice that they do not see themselves on search results as often as they used to, they will be upset. I strongly recommend that PPC managers get ahead of this message. I believe that all of my clients have a general understanding of this change and how it is impacting their particular account. One important conclusion is that you will not see your ad as often, but you will still get approximately the same amount of clicks. Alex Becerra - After a very successful career as a Mechanical Engineer with DuPont, S&B Engineers, and Jacobs Engineering, Alex shifted his attention to marketing and technology. 1n 1994 Alex developed PetroPages.com the first online buyers guide to the process and energy industries. Now instead of managing engineers he's trying to herd a creative and techie bunch. It's easy to see the transition for an engineer into the technology aspects of our business. The not so obvious, is Alex's passion for marketing. He splits his time allocating his highly sought after industrial marketing expertise with managing PetroPages' creative services.